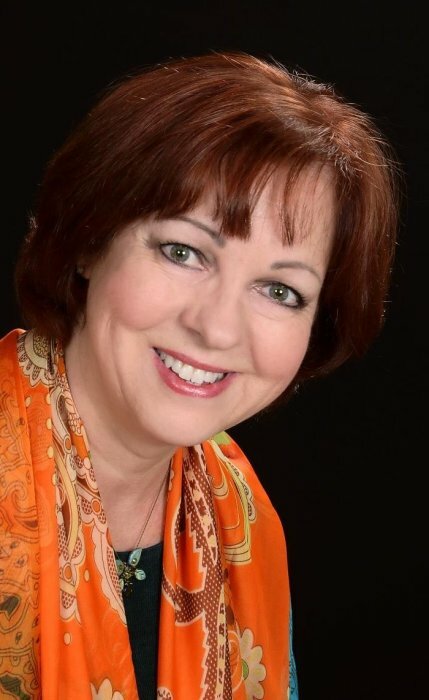 Obituary for Katheia Campbell | McCombs Funeral Home Inc.
Katheia Campbell, 64, of Cape Girardeau, formerly of Qulin, Missouri, passed away Friday, April 5, 2019. She was born March 9, 1955, in Malden, Missouri, to Buel W. and Anna L. Campbell. Katheia was a 1973 graduate of Twin Rivers High School in Broseley, Missouri, and a 1975 graduate of Three Rivers Community College in Poplar Bluff. Her employment included the former Jackson Exchange Bank and New McKendree United Methodist Church, both in Jackson, and Blue Cross Blue Shield in Cape Girardeau. She was a longtime, active member of La Croix United Methodist Church in Cape Girardeau, serving as a Stephen’s Minister, as well as a Stephen Leader and referral coordinator for the program. She was a member of P.E.O. Chapter LA in Jackson, served as a volunteer for Southeast Hospice, led her Women’s small group Bible study, and was a former member of New McKendree United Methodist Church in Jackson. Katheia enjoyed traveling and art, especially painting, and often took art classes at Southeast Missouri State University. She loved spending time with her grandchildren, family and her many friends. Katheia had a loving, caring soul and was always in service and prayer for others. To cherish her memory, Katheia leaves a daughter, Erica (Lance) Wilson and grandchildren, Wyatt, Scarlett, and Juliett of Weldon Spring, Missouri; and a son, Devin (Stefany) Foust and grandchildren Sawyer and Stella of Columbia, Missouri; her mother, Anna Campbell of Qulin; three siblings, B. J. (Karon) Campbell of Qulin, Missouri, Sheriann (Sam) Swan of Knoxville, Tennessee, Stephanie Campbell of Farmington, Missouri; many nieces and nephews; and the father of her children, Alan Foust of Jackson, MO. She was preceded in death by her father, Buel Campbell; and a half-brother, James “Mac” Overton. Visitation is from 3 to 7 p.m., Thursday, April 11, 2019, and from 9 to 9:45 a.m., Friday, April 12, 2019, at LaCroix United Methodist Church in Cape Girardeau. The funeral is at 10 a.m., Friday, April 12, 2019, at the church, with the Rev. Ron Watts officiating. Graveside committal is at approximately 1:30 p.m., Friday, at Qulin Cemetery, with the Rev. Jim Sanders officiating. Memorials may take the form of contributions to La Croix United Methodist Church, 3102 Lexington Avenue, Cape Girardeau, MO 63701; Southeast Hospice, #10 Doctors' Park, Cape Girardeau, MO 63703; or P.E.O. Chapter LA, c/o Treasurer, Cheryl Cook, 1730 Mohawk St., Jackson, MO 63755. Arrangements by McCombs Funeral Home and Cremation Center in Jackson.